Caduceon takes great pride in the level of service it provides to all clients. We make certain to provide the highest quality of analysis and the most reliable and defensible data obtainable. We have the capabilities and quick turn-around-times for your water analysis needs. 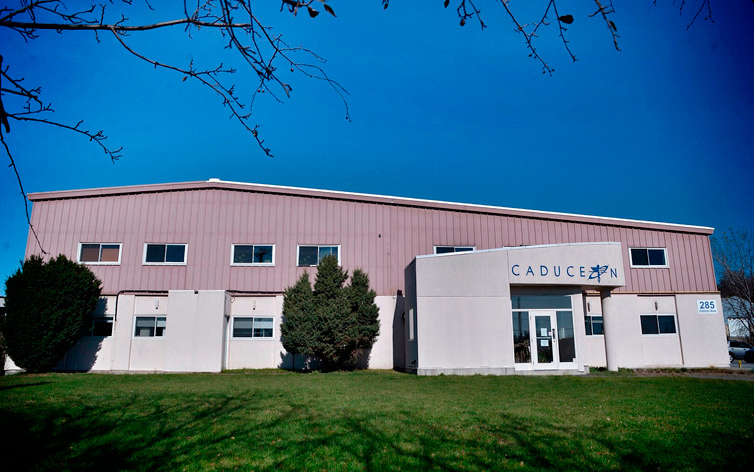 Caduceon Enterprises Inc. (Caduceon) is a Canadian-owned and operated company with offices and laboratories located in Kingston, Ottawa, Richmond Hill, Windsor and a depot/office in London, Ontario. We are a network of commercial testing laboratories with a particular specialization in environmental analytical services. The use of modern analytical techniques, high quality instrumentation, and sophisticated information management systems allows our laboratories to provide a wide range of services for industry and government. Caduceon is a customer-oriented organization committed to providing the best services, the highest quality of analysis, and the most reliable and defensible data obtainable. Our Laboratories are members of the Canadian Association for Laboratory Accreditation (CALA), and participate in the proficiency testing program for a list of parameters registered with the association. Our laboratories are accredited by CALA for specific tests and comply with the requirements of ISO/IEC 17025. The laboratories provide testing and laboratory consulting services on a commercial basis for environmental monitoring and assessment to ensure compliance to government regulations as well as water/effluent quality for industrial and domestic applications and a variety of other processes and products. Caduceon's services are performed by highly skilled professionals and technicians using industry accepted methods as specified by Environment Canada, the Ontario Ministry of the Environment (MOE), the US Environmental Protection Agency (EPA), ASTM International, American Public Health Association (APHA), and other internationally-recognized bodies. Our professional staff are experienced in providing solutions for organic, inorganic, bacteriological testing and sampling problems, and we help design or recommend the appropriate methodology for specific projects. The analytical instrumentation in the facilities include: ICP-AES and ICP-MS, segmented flow autoanalyzers, Dohrmann furnace systems, liquid and gas chromatographs with various detector configurations, purge and trap and direct-injection GC/MS, ion chromatographs as well as other laboratory instrumentation. The sample preparation systems include various acid and solvent extraction apparatus, liquid-liquid and liquid-solid extractors (microwave, accelerated solvent extraction), crushers and pulverizers. The Laboratory Information Management System (LIMS) is a specifically designed PC-based system using an SQL database. LIMS provides the laboratory with state-of-the-art sample registration and process tracking, quality control monitoring, and custom reporting/invoicing capabilities. Caduceon's turnaround time is exceptional and our attention-to-detail and service to our clientele is unmatched. Our highly qualified and professional staff will work diligently to get your quality analytical data reported as quickly as possible. Our clients are very familiar with our reliable results and quick turnaround time. We welcome your business and look forward to adding you to our growing list of satisfied customers.